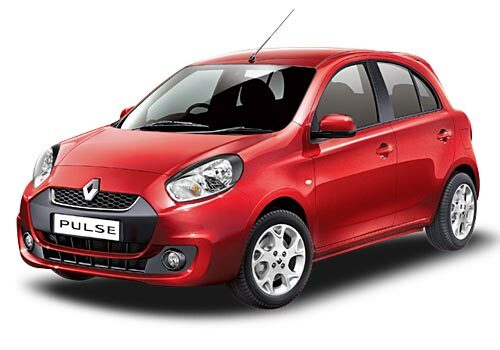 The Renault Pulse has been launched in the Auto Expo 2012. The particular car model was launched by Renault India and there are two models of the same car. The first model of the Renault Pulse is Renault Pulse RLX and Renault Pulse RXZ. The price of the Renault Pulse RLX is Rs. 5.77lakh and the price of the Renault Pulse RXZ is Rs. 6.25 lakh. This particular car will be available in diesel version and it belongs to the hatchback section. The company is providing a warranty period of 2+2 years or 80, 000kms. The Renault Pulse is well powered by 1.5 DCi diesel engine and which is capable enough of providing a best mileage of 23.8kmpl. The French auto giant has launched this fabulous car model with best kinds of features integrated in it. The engine of the Renault Pulse is well capable of providing a peak power of 65BHp at the rate of 4000rpm and a maximum torque of 160Nm at the rate of 2000rpm. The look of the car is really attractive and which will make the audience go mad about it. The front, rear and the side view of the Renault Pulse is really autumn and will really make people to get impressed. Huge numbers of safety options are also present in the Renault Pulse and which is going to ensure maximum safety for the riders. The seats of the Renault Pulse really provide best kind of comfort. The best kind of dashboard options is really going to provide the users with best facilities. The auto climate control feature of the Renault Pulse is one of the enchanting kinds of feature. The 15 inch alloy wheels are the other kind of specification, which is really going to make people die for it.